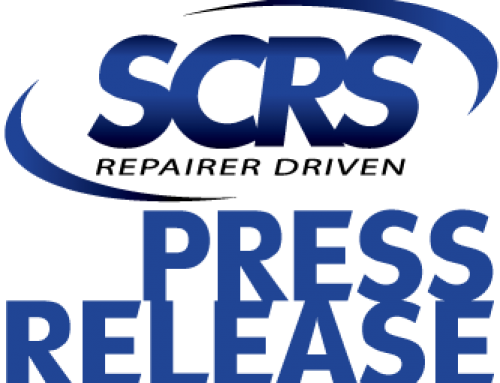 Prosser, Washington, October 30, 2018 – The Society of Collision Repair Specialists (SCRS) announces a drawing for SEMA Show attendees, which will be held following the SEMA Show. To be entered into the drawing, the attendee must be employed by a collision repair facility and be scanned in attendance at all three OEM Collision Repair Technology Summit sessions (9:00am – 10:30am, 11:00am – 12:30pm and 3:00pm – 5:00pm) on Thursday, November 1. Registration for each session will be available onsite. Once attendance records are finalized, after the conclusion of the SEMA Show, a winner will be selected at random to receive the prize from Toyota Motor Sales – a division of Toyota Motor North America. The prize package will include a Techstream Professional Diagnostic subscription, a MongoosePro MFC2 Interface by Drew Technologies, and a compatible laptop. The winner will receive a complete setup to access Toyota, Lexus, Scion OE Repair Information and OE Diagnostic Tool; with software access good for one year. The package allows complete Technical Information System (TIS) Access and Techstream functionality for Toyota/Lexus/Scion repair information and diagnostic scan tool functionality. The 2018 OEM Collision Repair Technology Summit is made possible with support from PPG Automotive Refinish; AkzoNobel; BASF; CCC Information Services, Inc.; Sherwin-Williams Automotive Finishes; GM Genuine Parts and Spanesi Americas.